This past week at L.A. Academy has been marked by the dread of imposed layoffs, uncertainty as to how many would actually go through, and the potential loss of our award-winning librarian. Coincidentally (or not), students decided at this time to behave in a manner unseen in years, to the faculty who has been around since the opening of the school in 1998. There were “rolling fights” on campus, where students run in hordes from place to place, to witness fights or other disturbances. This situation has the potential for lots of physical injury because if you are in the way of an approaching horde, you will get knocked down, run over, and trampled. Two students were injured, and many others were pushed, shoved, and stepped on. Numbers: Do They Tell the Whole Story? 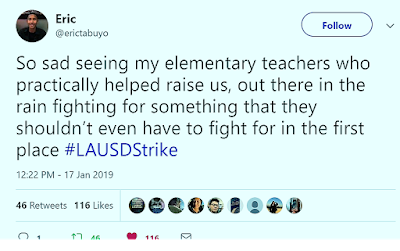 The internet has given many folks the opportunity to chime in about education reform (including those that author this blog, teachers from Los Angeles Academy MS). Our school that has been labeled "Program Improvement" -California's label for "failing" schools--- for the last several years. This is due to one simple measure, created by George Bush in his signature piece of legislation known as No Child Left Behind. 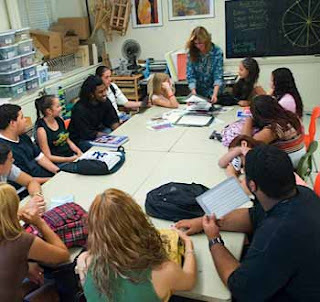 In NCLB, each school has to have 100% of students scoring Proficient or higher to be deemed a successful school. This includes all English learners, and special education students who are mentally impaired. Many schools, including ours, did not meet our targets, hence the PI label. Starting at dinner time on Friday the 12th, the texts and phone calls started coming in. "I'm fired," "guess I'll be looking for a new job" or "I get it, LAUSD, you don't want me." 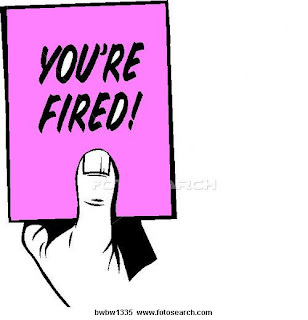 Apprehensive teachers had made their way home to find their pink slips waiting for them. Unlike last year, the teachers were realistic about their chances of getting another one this year. Nothing can really prepare you for getting the letter that tells you you have less than four months left of being a teacher and working with your students. LAAMS lost 23 teachers last year, and with that fact in mind, and no clear UTLA plan of action, our new crop of RIF'ed teachers are grim about their future, and the future of our school community. Rolling protests throughout the state of California emphasized the despair, anger, and will of the people. March 4, 2010 was the Day of Action that brought together all those who have been affected by the $17 billion dollars in education funding cuts over the last two years. 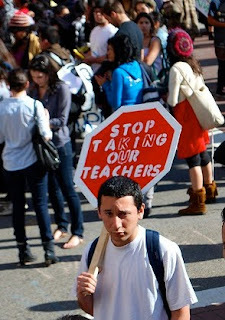 College students, K-12 students, teachers, unions, and parents rallied from San Francisco to San Diego to tell the world it is wrong to cut education and spend billions on wars and prisons. For L.A. teachers, it was a chance to express our angst at the lack of foresight of laying off teachers, when in the next few years, millions of baby boomer teachers will be retiring. Poor planning has led to many districts being in a dismal financial situation, while others who planned well and had rainy day funds have been navigating the Great Recession, even if only barely. Firing the Central Falls faculty was wrong, for reasons we see every day here in South Central Los Angeles. 1. 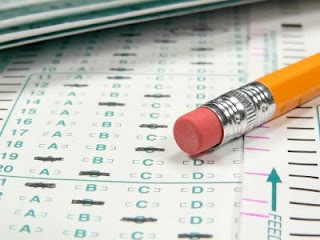 The premise is that the 74 high school teachers, and no one else, was responsible for the students' academic struggles. Not socio-economics, not gangs, not the parents, not the students themselves. What a mistaken assumption. If this were the magic bullet, wouldn't it have been used more often? It hasn't because results have been mixed, at best. 2. If these teachers are fired, it will scare the bejeezuz out of other teachers who will shape up in order to not lose their jobs. Wrong. Most teachers, especially the good ones, are not motivated by money or threats.